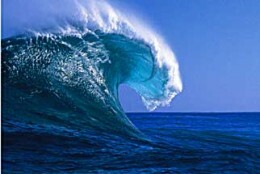 Since the 1990s, the modulational instability has commonly been used to explain the occurrence of rogue waves that appear from nowhere in the open ocean. However, the importance of this instability in the context of ocean waves is not well established. This mechanism has been successfully studied in laboratory experiments and in mathematical studies, but there is no consensus on what actually takes place in the ocean. In this work, we question the oceanic relevance of this paradigm. In particular, we analyze several sets of field data in various European locations with various tools, and find that the main generation mechanism for rogue waves is the constructive interference of elementary waves enhanced by second-order bound nonlinearities and not the modulational instability. This implies that rogue waves are likely to be rare occurrences of weakly nonlinear random seas.